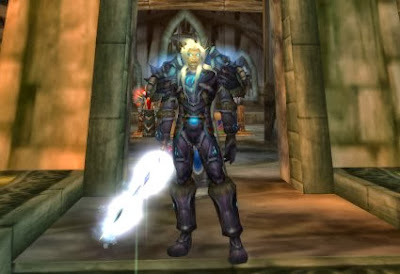 Master of World of Warcraft : Level 90 entchants on low gear for example accound bound. Level 90 entchants on low gear for example accound bound. All permanent item enhancements provided by Enchanting, Engineering, Leatherworking, Tailoring, and various vendors and quests are now able to be applied to items of any level. This means all enchantments can now be applied to heirloom items. High level enhancements applied to items equipped by low level players have their power scaled down to be similar to enhancements intended for that level range. Low level enhancements applied to items equipped by high level players do not grow further in power beyond their intended level range. Something to add, The weapon enchants are good, but Enchant Weapon - Elemental Force seems to do a high amount of damage for low level characters, so it's a pretty nice dps boost. (Had it on my Lvl 1 w/ boas, it made things go rather quickly when I chose to pull lots, it procs very often and does avg 110 dmg, which is pretty fair). also its very cheap to make.